Today’s post is for Project 52, a weekly blog project that I am working on with several other talented photographers whom I’ve come to know and love over the past year. In this project, we concentrate on light and spend several weeks exploring an overarching theme. This month we will be exploring diffuse light. Diffuse or soft light is the opposite of hard light, which we worked on last November. Where hard light was small compared to the subject, resulting in dark shadows, soft light is large compared to the subject and results in subtle to no shadows. Overcast days, open shade, or the sky (as opposed to the sun itself) are examples of diffuse light sources. Soft light is often the easiest light to use, because it lights your subject rather evenly, but it can sometimes be a little bit boring, a little bit safe. This image of Avery was taken on Friday, when she was participating in her very first fundraiser. Her preschool has a sister school in Haiti, where access to clean water is a rarity. Avery obtained a number of sponsors and then walked around the quarter-mile track 5 times – stopping to pick dandelions, of course. We are incredibly proud. Please continue along in our creative blog circle to see the beautiful work of my friend Kelly Roth Patton of K. Rox Photography. Kelly is a fantastic photographer based in Brooklyn, NY. Click HERE to see Kelly’s creative play on diffuse light. I love the pops of color. What a great project. Beautiful – I love how you caught the seeds blowing in the wind. Go Avery! I love that you can see the little dandelion seeds floating away. The pink really pops against the green! 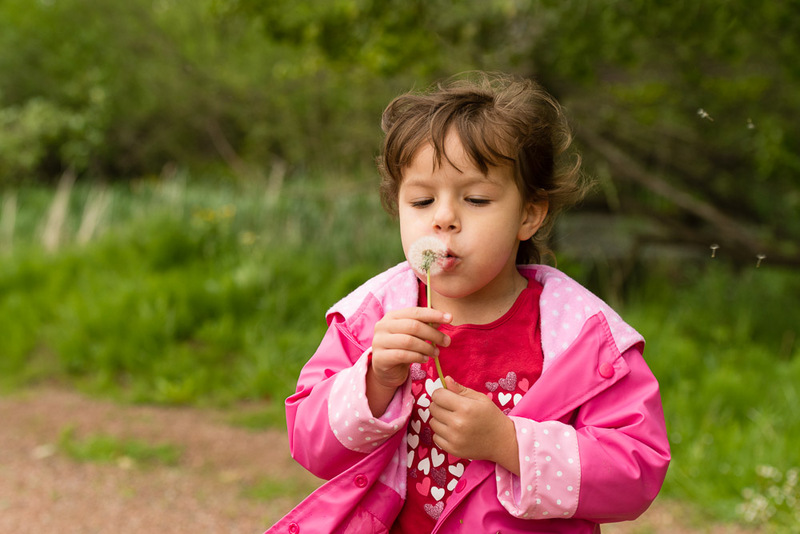 My favourite pictures are of my children blowing dandelions!! It’s such a classic childhood memory!!!! great capture!! Love how you can see the dandelion in the wind and love the pop of her jacket against the lush green background. How proud you must be! My little ones also love the fluffy dandelions, they are irresistable! Stopping to pick the dandelions along the way. I think that kid knows how to live! And what a nice moment to capture. Wow! I can’t believe you caught those seeds blowing in the wind. What an amazing capture! And, I love her pop of pink against the green background. It really pulls your eye right to her! !